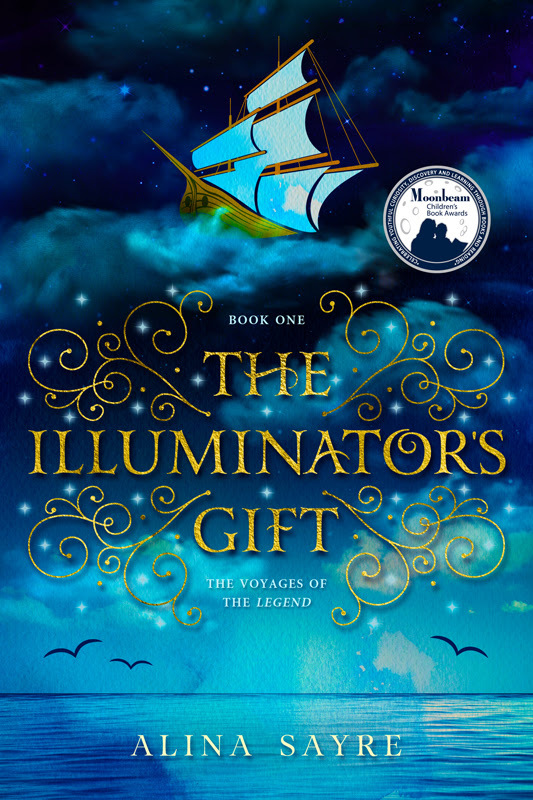 The Illuminator’s Gift Audiobook Release! The Illuminator’s Gift audiobook is online NOW! The audiobook is officially listed at $19.95 (a pretty good deal for nearly 9 hours of addictive British narration). 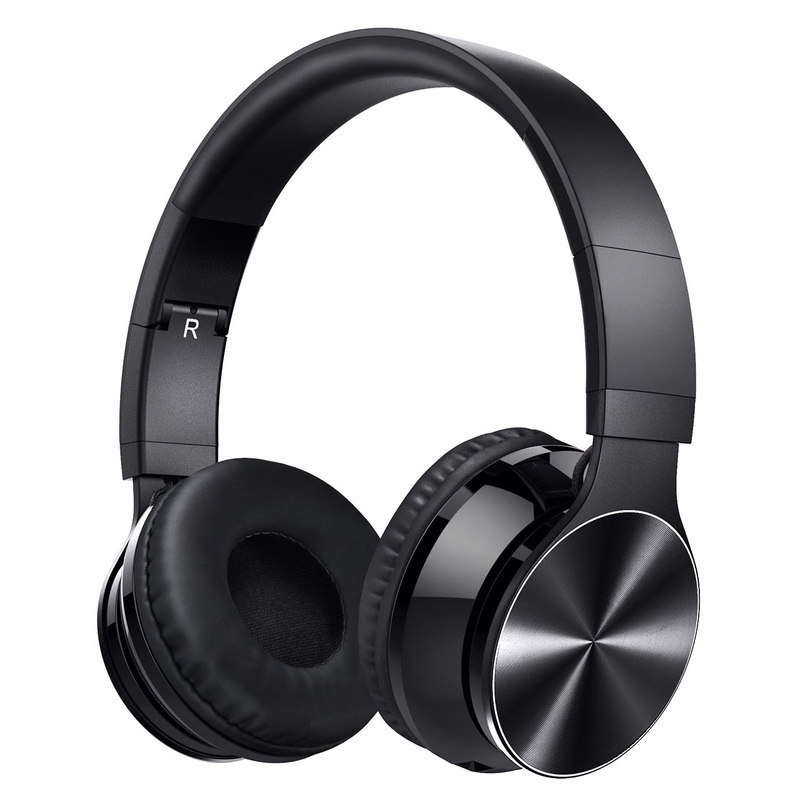 But here are 2 ways you might be able to get the audiobook for FREE! 2) Do you run a blog, book review site, or YouTube channel? 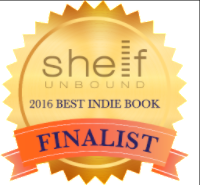 If so, you might be eligible for a free review copy of The Illuminator’s Gift audiobook! To apply, send me an email with a link to your site or channel and a quick description of why you think you’d make a good reviewer! Even if neither of these options works for you, I hope you’ll still give the book a sample listen and consider downloading! It’s been a pleasure to create, and I hope that enjoyment will carry over to your family as you listen. Now, go forth and listen! Enjoy! Share with friends! And if you’d be so kind, please leave a quick review on Audible to let others know your thoughts! 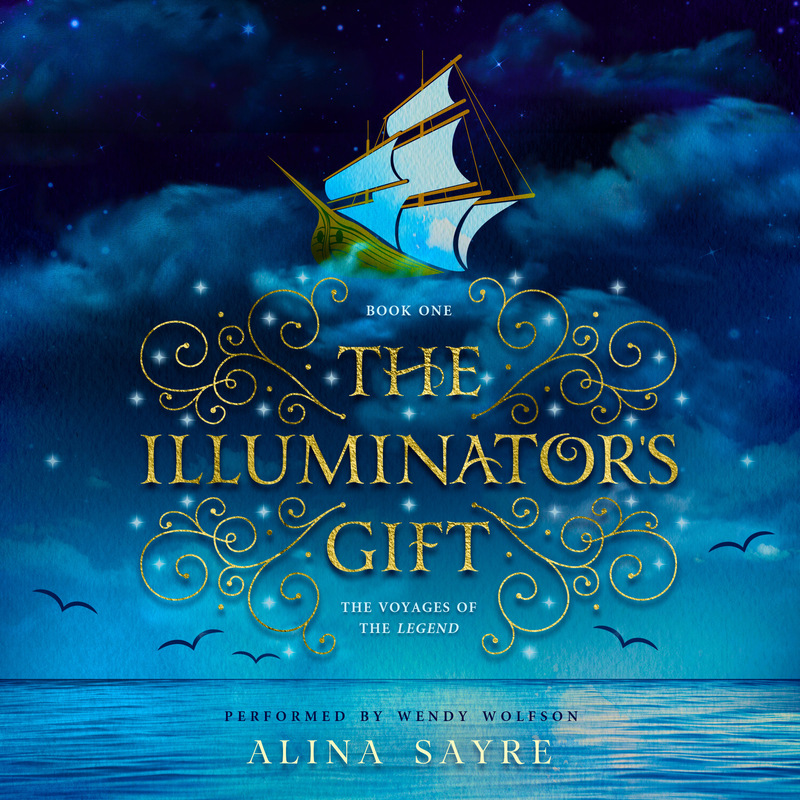 The Illuminator’s Gift comes to audiobook June 21st!! I’m delighted to announce that recording for the audiobook of The Illuminator’s Gift is now finished! I’ve listened through the whole book, and I know you’re going to love it!! I’m excited about this new audiobook for three big reasons! First, the narrator, Wendy Wolfson, is AWESOME! She has an amazing British accent and brings lots of dramatic flair to the characters’ voices. She’ll be stopping by this blog for an interview next week and sharing her story of becoming an audiobook narrator, so stay tuned! Second, audiobooks are a great family memory for me, and I’m glad to get to share that experience with you! I remember long road trips, the back seat uncharacteristically quiet as my brother and I got sucked into the magical world of the story we were listening to (on cassette tape, of course). I’m happy that The Illuminator’s Gift will now be roadtrip-ready for your family (and hopefully bring you some peace and quiet from the back seat)! Third, this book has been a longtime dream of mine because Ellie, the heroine of The Illuminator’s Gift, is dyslexic. She loves stories and learning, but feels like she’s not smart because she has difficulty reading. I’ve talked with so many students who have various print disabilities, including dyslexia and blindness, and I’m SO thrilled that at last, there’s an alternative format of The Illuminator’s Gift available. I believe strongly that visual difficulties shouldn’t keep anyone from enjoying a good story. If that describes you or someone in your family, I am hopeful that this audiobook is everything you’ve been waiting for! So when can you get started listening? While you wait…want to hear a teaser clip of the audiobook??? Stay tuned! Release day is almost here!! Bay Area Book Festival 2018! Last weekend was the Bay Area Book Festival–the most bookish weekend of the year! For the fourth year running, downtown Berkeley closed off several square blocks of traffic, and I ran a booth on Milvia Street. The difference this year was that, for the first time, I had the complete Voyages of the Legend series on my display table. It was a strange feeling to see the work of nearly a decade spread out in front of me. It was really fun to see faces both new and familiar at this year’s fair! After working so hard to put out Book 4 last fall, I was especially encouraged by returning readers who came by specifically to pick up The Illuminated Kingdom. My lovely mom did hand painting, using glittery designs from each of the four Voyages books. It was a chilly, blustery day in Berkeley, but the carnival atmosphere was unmissable. The smell of kettle corn drifted tantalizingly from the food court and kids rode the mini train up and down the street, waving at passersby, all day long. My booth neighbors, authors Raenell Jones and B.C. Hatch of Little ChickLit Books, were both lovely. Little ChickLit had this photo wall supporting girls in embracing descriptors beyond “pretty,” and asked me to pick a word of my own. I picked the word “brave”–which not only represents Ellie’s journey in The Voyages of the Legend, but my own as I’ve navigated writing and publishing this series over the last ten years. It felt fitting. Coming soon: The Illuminator’s Gift audiobook! Also: have you already marked your calendar for the 2018 Bay Area Book Festival? 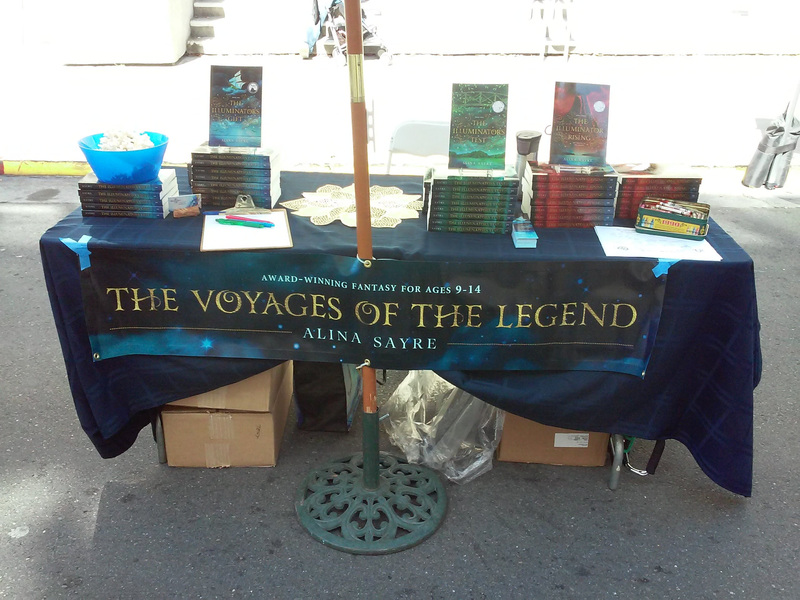 I’ll be there on Saturday, April 28th, with all four Voyages of the Legend books, plus free bookmarks and hand painting! Hope to see you there! 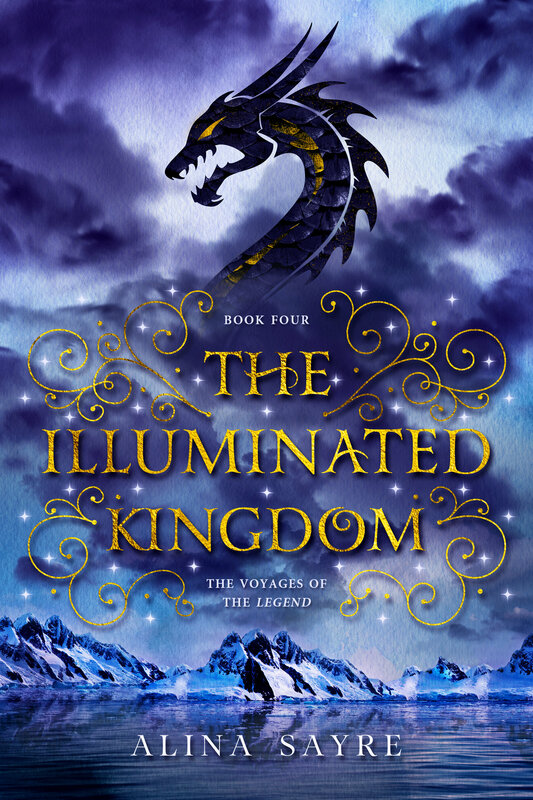 The Illuminated Kingdom Launch Party Review! 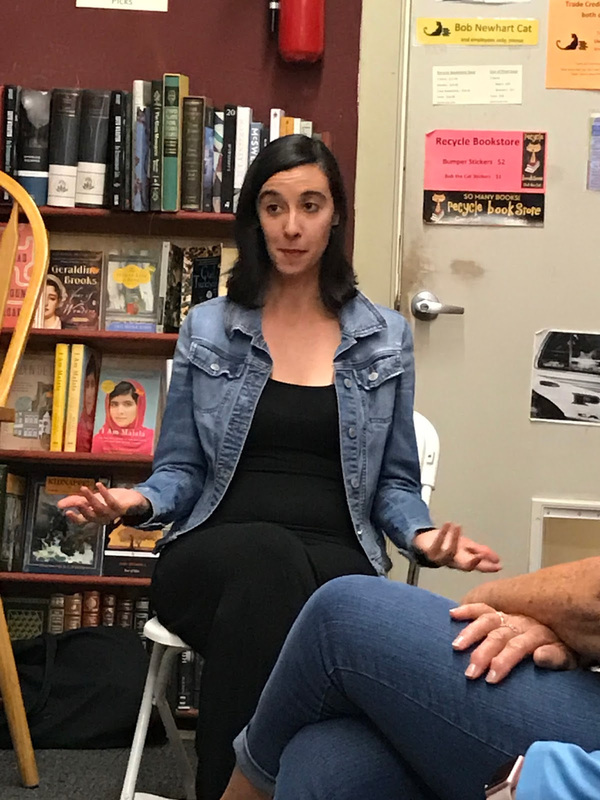 11/18 was the launch party for The Illuminated Kingdom, hosted by the lovely Books Inc. in Santa Clara. One of their amazing booksellers hand-drew this sign in chalk! I felt so honored by all the people who turned out for the event, even though it was the weekend before Thanksgiving! We read together from The Illuminated Kingdom, had some Q&A time, and of course, signed books. My lovely mom did washable art on people’s hands (some Vestigians even got their fleet tattoos). Thanks to everyone who came out for the launch! If you’re still looking to get a copy signed before Christmas, I’ll be at a table in front of the Recycle Bookstore West on 12/17 from 9:30-12:30 (during the Campbell farmers’ market). I also have more events coming in January, so keep an eye on my News and Events page! Release day for The Illuminated Kingdom is just TWO DAYS away! To celebrate the launch of this final book of The Voyages of the Legend series, there will be a series of festive events, both in person and online. Here’s the list! 11/3: BOOK LAUNCH DAY!! Grab a copy and start reading! 11/4-11/17: Online book tour! Several awesome authors/creatives/book reviewers have graciously agreed to host book tour stops on their websites to celebrate the launch of The Illuminated Kingdom. Stop by! 11/18: In-person launch party at Books Inc. Santa Clara! Drop in starting at 2 PM for snacks, activities, reading, Q&A, and book signing! 12/17: Book signing at Recycle Bookstore West! 9:30 AM-12:30 PM (during the Campbell farmers’ market)–one last chance to get Book 4 signed before Christmas! Celebration time! I hope to see you at some point during the festivities! The Vestigia Roi has risen up to retake their home island of Rhynlyr, but all Ellie can think about is rescuing her missing brother, Connor. Guided by a dream of Connor’s whereabouts, Ellie disobeys the Council’s orders and stows away aboard the Legend. But a simple rescue mission quickly goes wrong as Ellie and her friends confront new monsters and old enemies. The crewmembers of the Legend soon find themselves waging a last, desperate battle to save not just Connor or Rhynlyr, but their entire world. As the One Kingdom hangs in the balance, Ellie and the Vestigia Roi must ultimately decide what they are fighting for—and how much they are willing to sacrifice for it. After more than nine years of writing this series, the fourth and FINAL book in The Voyages of the Legend series is almost ready for you to read!!! And I’m so excited to share it with you! 2: Stop by the launch party on November 18th for a signed copy! The party is at 2 PM at the Santa Clara Books Inc. There will be a reading, Q&A time, and of course lots of books! I’d love to see you there! 3. Spread the word about the book release! It takes lots of voices to create a successful book launch. So if you’re excited about this book, tweet it out or tell a friend! I’m so excited to share this series finale with you!!! Back in high school, I used to keep a list of books I read each year. Because I like books. And lists. But for some reason, once I left high school, I stopped keeping track of my reading. Probably because college hit me hard and I had no time to wash my hair or cook in an oven anymore, let alone keep lists of my books (although I did still read a lot, both in and out of class). I was also surprised that in spite of my two jobs and a published novel this year, I still managed to read 70 books! It was fun to count them and watch the trends in my genre preferences. Fantasy, steampunk, and children’s lit were the big winners this year (more non-surprises). I also starred my very favorite reads, books which (surprisingly or unsurprisingly) deeply moved, entertained, or educated me in an important way. Six books got starred, so I thought I’d share these meaningful books with you. In a world stuffed with sappy, simplistic spiritual books, Taylor does not add to the problem. This book was deep, sensitive, insightful, brave, and completely helpful to me. 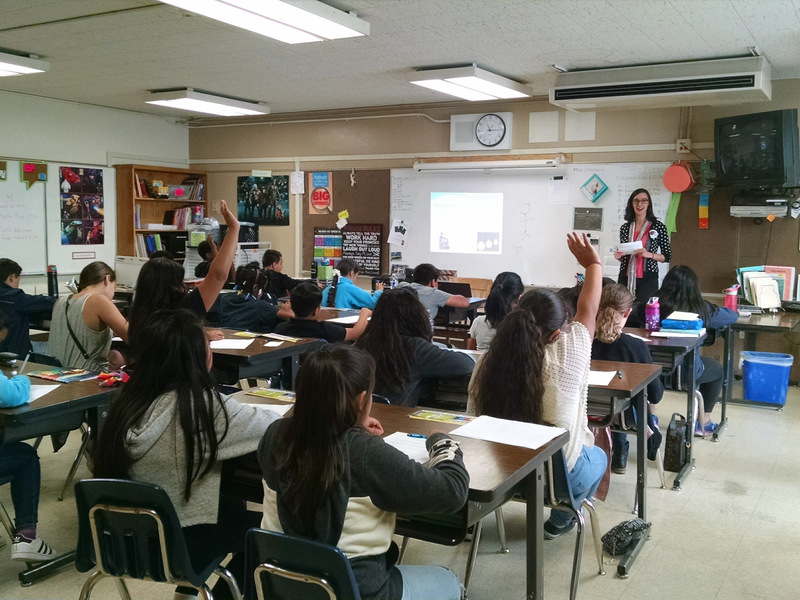 Sometimes (a lot of the time) I learn from teaching as much as I ever did from being a student. Having assigned this novel to my students, I figured I’d better read it…and it was wonderful. Shattering. Honest about the complexities of racial tensions in pre-apartheid South Africa (and anywhere). But also unapologetically hopeful about the possibilities of love and kindness. I have no idea how I got through high school and a college English degree without reading this one, but I’m glad I finally got around to it. This book was wise, sorrowful, hopeful, and so so so relevant to life in 2016. It had an eerily prophetic ring to it, actually. Or maybe the world just hasn’t changed that much. This book was just sheer fun. I love Jane Austen and I love Shannon Hale, so put the two together and you get a decadent slice of fun and humor. And also a strong heroine with some wise insights on being a young woman in the 21st century. I (maybe) read it three times in the same month. This one was also pure fun. I was first attracted to it for its cover (yes, even authors do that), but I stayed for the rollicking romp of fantasy-steampunk-science fiction-Sherlock Holmes delightfulness, complete with cyborg alligators and plenty of bibliophilia. Now I must read the rest of the series. A spiritual book, three social commentaries, a parody on a classic, and a fantasy romp, making the top of my list? How…unsurprising. What were some of your favorite reads in 2016?